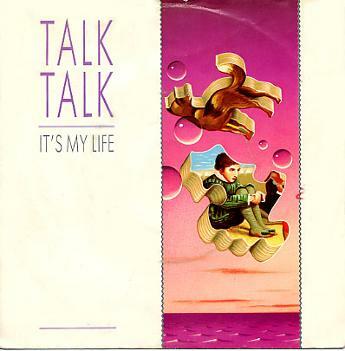 Reaching #16 in the UK during January 1986, Life's What You Make It was just one of only a handful of Talk Talk singles to break the UK Top 40. It was the first track from the third studio album The Colour of Spring. The band's biggest hit single was a reissue of It's My Life which reached #13 in 1990. The original release in 1984 failed to break the Top 40, stalling at #46. Talk Talk were one of those band's that kind of passed me by in the 80s, mainly because their commercial success was not what it should have been, and also because I was listening to a lot of the more popular stuff, some of which was pretty rubbish! However, this is the one song by the band that I couldn't possibly forget. It wasn't until the 90s (when my musical tastes had matured) that I could fully appreciate the quality of this band's music, and wish I had been a fan a lot earlier! This was the epic title track and lead single from Talk Talk's second studio album. The song was originally released in 1984, reaching #46. A reissue in 1985 faired even worse, stalling at #92. However, another reissue in 1990 to promote the compilation album Natural History: The Very Best Of Talk Talk became a hit (finally!) reaching #13 in the UK. The B-side of the original release was the track Does Caroline Know?, but on the 1990 reissue this was replaced with Renee (Live).